Hamburg Süd and its Swedish customer Electrolux are teaming up to reduce sulfur dioxide emissions in ports. During its layovers in Manzanillo (Mexico), Callao (Peru), Iquique and Puerto Angamos (Chile) between March 11th and 24th, the “Santa Catarina” (7,114 TEU) voluntarily used cleaner marine gas oil (MGO) instead of standard heavy fuel oil (HFO) to operate its auxiliary engines and boilers. Both of these must be running in port to supply the ship with electricity and heat. Hamburg Süd and Electrolux already carried out a fuel upgrade in the past, thereby making a contribution to environmental and health protection. Due to the significantly lower sulfur content of MGO, the sulfur dioxide emissions for the Electrolux cargo in question will decrease by over 95 percent. The project is being financed by both companies. 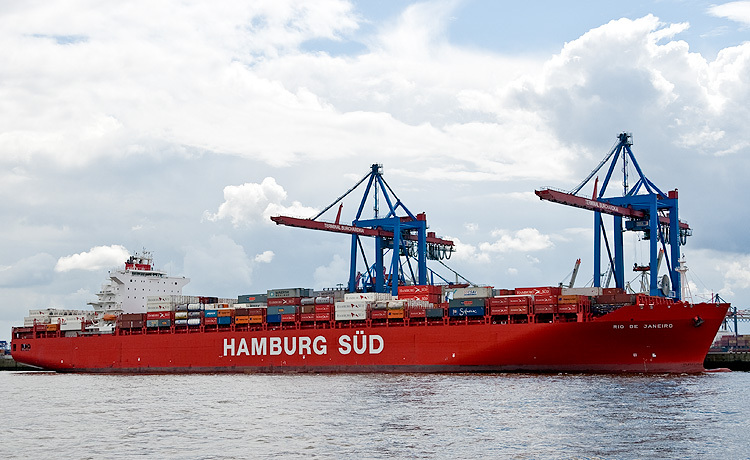 While Electrolux is bearing the additional costs for the MGO, Hamburg Süd is assuming the extra operative expenses related to planning and switching fuels. Previous: Is a dangerous complacency taking hold in shipping over climate goals?